Hānau ka Ulu Lā‘au Ola Mau nā Hua (Born is the forest, long live the seeds) is a project funded by the Office of Hawaiian Affairs and managed by Hālau Ke‘alaokamaile at Hōkūnui Maui. 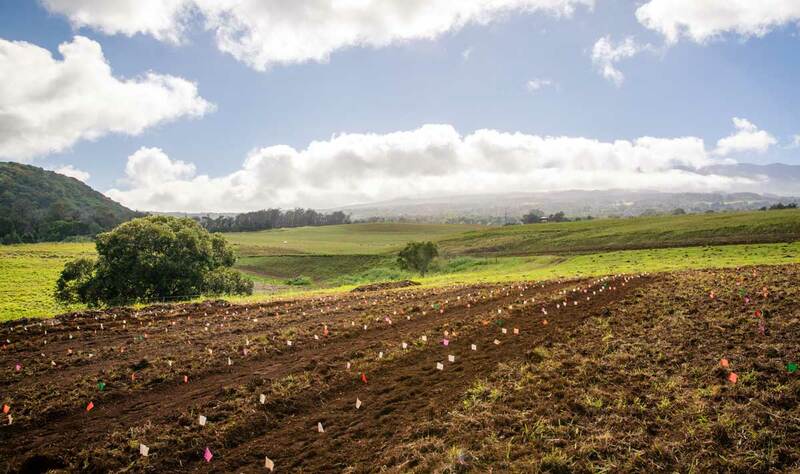 The purpose of the project is to create a 6-acre native habitat kīpuka, in order to restore native flora and fauna, enhance the watershed, perpetuate cultural practices and create a template for sustainable restoration. 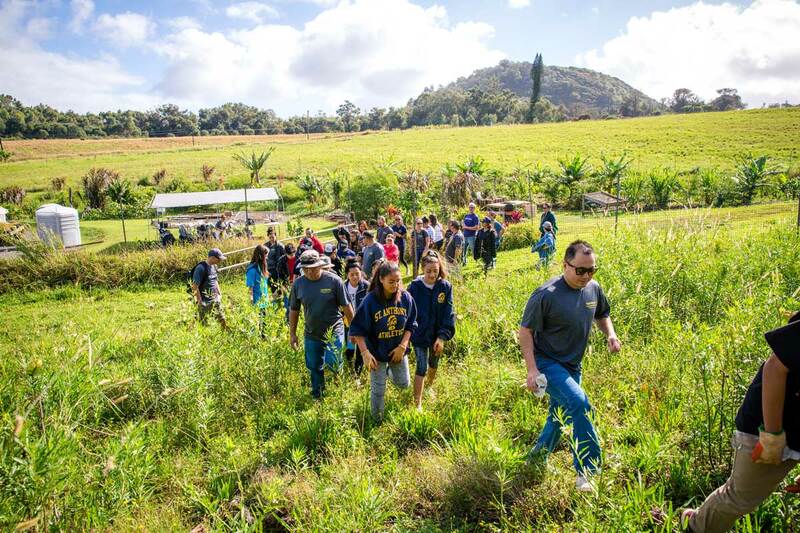 Each month, Hālau Ke‘alaokamaile and Hōkūnui Maui hosts an organization that brings its members to participate in the native habitat restoration. 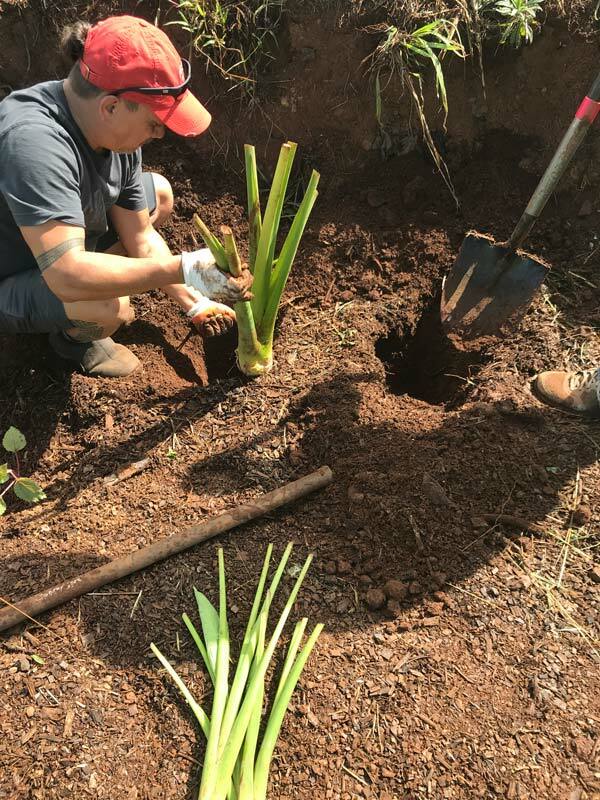 By including the Hawaiian community in planting the native forest, the project seeks to deepen the connection between kanaka and ‘āina and provide increased access to plant material for Hawaiian cultural practices related to the forest. Project participants learn about the watershed, plant identification, ecology and cultural uses of plants. 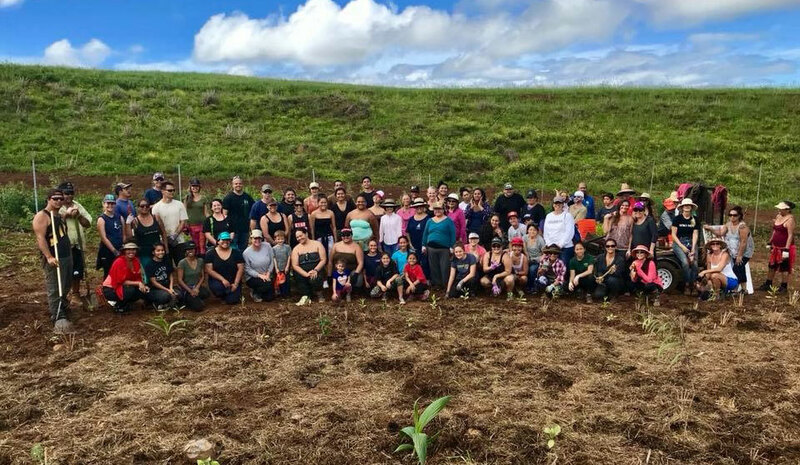 In one year, between August 1, 2017 and July 31, 2018, Hālau Ke‘alaokamaile and Hōkūnui engaged over 800 participants from 8 different community organizations in planting 3,000 native plants and canoe crops on 3-acres of land. Participants from Hālau o Ka Hanu Lehua, Hālau Nā Lei Kaumakaouka, Pūnana Leo O Maui, Seabury High School, St. Anthony School, Westin Nanea, Kamehameha Schools Kapālama Glee and Kaunoa Senior Center took part in hands-on planting learned about watershed protection, the hydrologic cycle, poly-forestry (Polynesian Agroforestry) and kaulana mahaina (Hawaiian moon calendar). Hawaiian cultural protocol is practiced and for the first time in many years the land is regularly hearing the sounds of ‘ōlelo Hawai‘i. 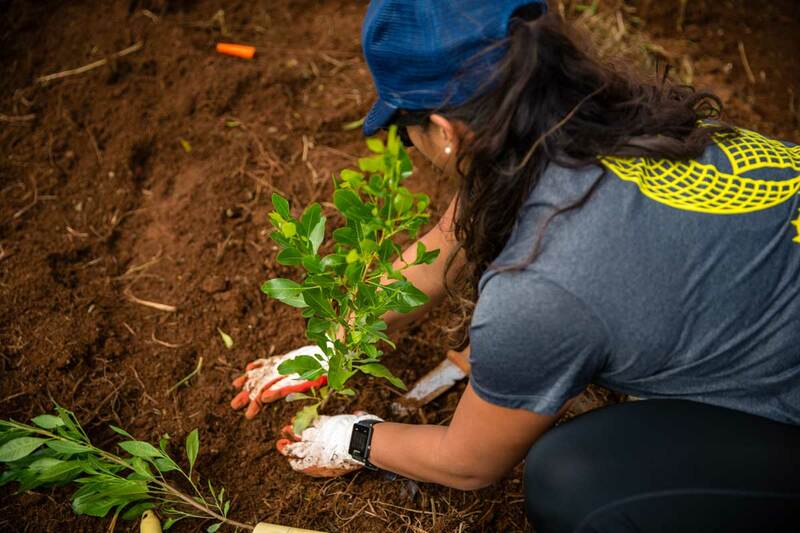 Hālau Ke‘alaokamaile and Hōkūnui value the reciprocity between people and plants—our community of people helps to nurture the community of plants, and the plants nurture the people. 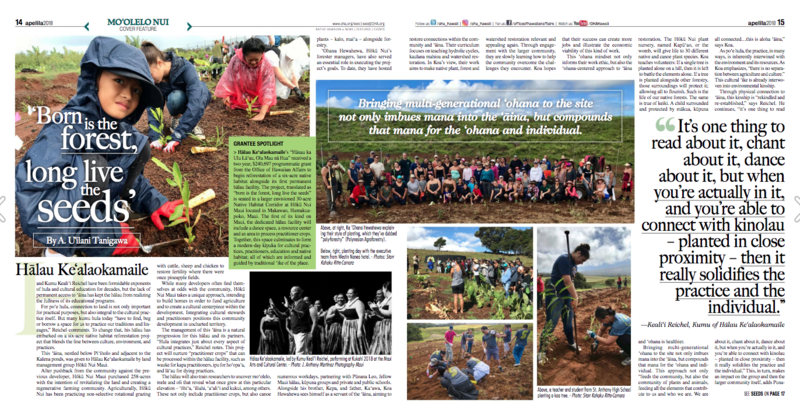 in the April, 2018 issue of Ka Wai Ola by A. U‘ilani Tanigawa.